Consultiva Internacional Inc. is a registered investment advisory firm. Consultiva Internacional Inc. is a registered investment advisory firm with more than 17 years of experience in the industry. Consultiva International Inc. will be discussing various topics to address the Puerto Rico’s situation after hurricane María on Dec. 7, at the Los Chavales Restaurant in Hato Rey. The event starts at 6 p.m.
“Puerto Rico: Today and Tomorrow…Local Economic Perspectives post María” symposium panelists will provide details related to the storm’s impact on small and medium sized businesses and investment opportunities; the U.S. Small Business Administration’s role and the availability of federal funds for reconstruction; the hurricane’s impact on the agricultural sector and steps toward recovery; and other topics. “María has hit us very hard, and the impact is almost overwhelming, but amidst the destruction caused by this natural phenomenon there is light, there is hope,” said Consultiva CEO Myrna Rivera. “Puerto Rico is being rebuilt as we speak, and it should behoove us all to learn and share about opportunities on the ground, and our responsibilities as the island’s citizenry. Puerto Rico needs to be its own first investor every time,” she said. A multi-disciplinary group of professionals will accompany Consultiva’s key executives to provide details on recovery and rebuilding efforts as well as investment opportunities that were being developed before the storm and are still available to local investors. 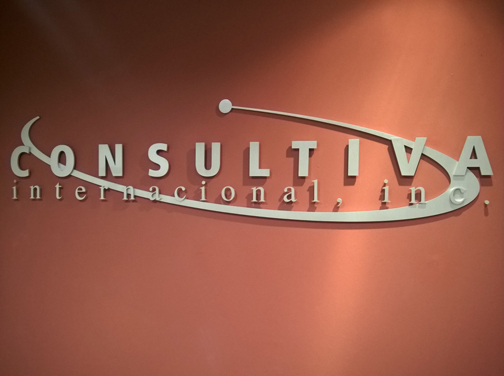 For additional information contact Nilsa De Jesús by calling 787-763-5868 or in writing to ndejesus@consultiva.com. Hey Buddy!, I found this information for you: "Consultiva Internacional to discuss hurricane impact on SMEs, investments". Here is the website link: https://newsismybusiness.com/consultiva-internacional-investments/. Thank you.